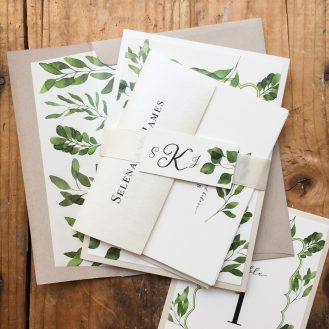 "I used Beacon Lane for my wedding invitations earlier this year. I ordered paper samples first beforehand and the paper quality is fantastic. Jessica was an excellent resource and knew exactly what she was doing. She was very patient with me and my changes and replied quickly to all communication. After a few proofs and changes to the Pineapple Paradise template, everything was absolutely perfect. The order was prepared within 5 business days and arrived extremely quickly - something I was very delightedly surprised with! Once they arrived, they were absolutely beautiful - no small details were missed and no mistakes were made. I have received TONS of compliments from my future weddings guests on how beautiful they are. 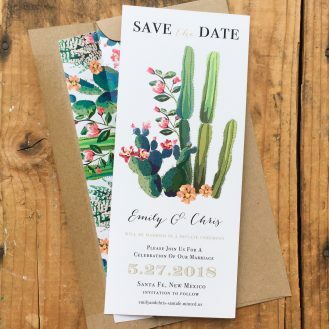 I loved my invitations them so much, I am using them for all of my day-of wedding paper goods! Thank you Jessica, Trevor and the Beacon Lane team for making everything SO easy and exactly what I wanted." "I am very particular and it takes a lot for me to get excited over something. 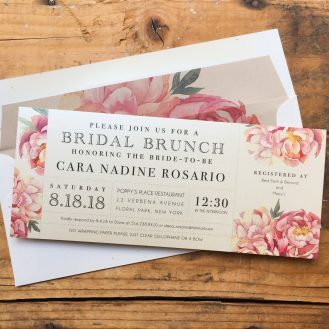 That said, I absolutely love these bridal brunch invitations, that are beautiful. Very elegant and the quality is top notch. The proofs were perfect on the first round and the order was received extremely fast. I dealt with their customer service person, Lauren; great communication...courteous and very professional. I would definitely do business with Beacon Lane again!" 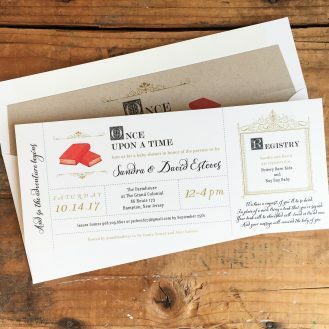 "I cannot put into words how gorgeous you've made our invitations. Truly! Your attention to details is exactly why I love them. They are more beautiful then I imagine! Thank you so much! I cannot wait to send them out! We're going to add an orange wax seal on the back to send them out. They are perfect and encompass our colors and vibe perfectly! Thank you so much! Danielle"
"I just wanted you to know the invitations came in the mail on Friday. The order was complete and truly BEAUTIFUL. We could not have been more pleased. I cannot wait to continue working with you on the Table Place Cards! 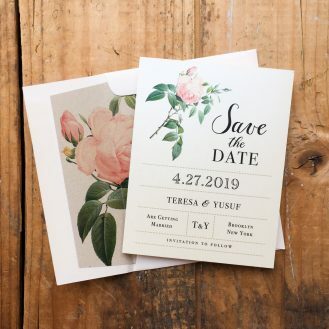 -Deborah"
"Received our Save the Date today and they are absolutely gorgeous. Very very pleased with the detail! We will be ordering our invitations from Beacon Lane as well. Thank you so much." "We were really happy with them and guests have commented how pretty they look. 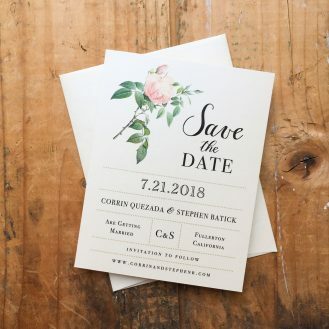 Corrin"
"Our save the dates were a huge hit-- everyone from our friends and family to our florist and caterer absolutely loved them! We are just about ready to start ordering our invitations through you guys, so expect to see an order within the next week or two! Thanks again, Emily"
"Just want you to know that I received the shower invites yesterday. Everything was absolutely PERFECT! I love them! We all love them!! Love how you packed the recipe cards neatly inside too! Thanks again for everything and it was a pleasure working with you and your great company! I will definitely recommend you to others!!" 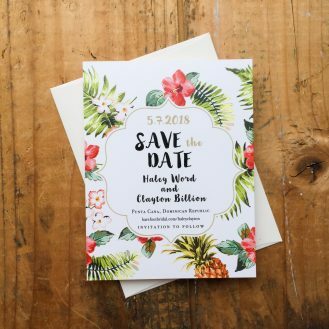 "I just want you to know that my fiance and I absolutely LOVE the save the dates. They are GORGEOUS and i really could not be more impressed!!!!!!!!!!! I'll definitely be ordering invites and maybe more items soon. :) Best, Teresa"
"the invites came out GREAT-- I just finished mailing them this week :) thank you again for your help! Haley"
"I absolutely loved the cards! Exactly what I wanted. My fiancé loved them too and commented how unique they were. Thank you so much. Brittney"
"They were absolutely beautiful! They went along with our theme so perfectly and I couldn’t have pictured anything more perfect!!!! Our guests thought they were amazing and LOVED them!" 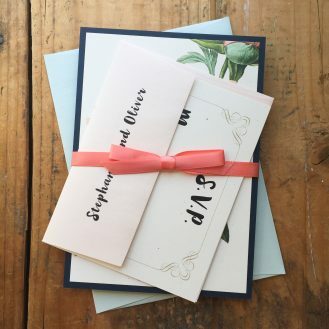 "I just opened the box and..... the invitations are BEAUTIFUL!!! I can’t even explain how happy and satisfied I am. Thank you SO much for all your help through this process. I can’t wait to send them out. Thank you! Nikki"
"I received my beautiful invitations. They are perfect! I wanted something different for a AZ born girl. 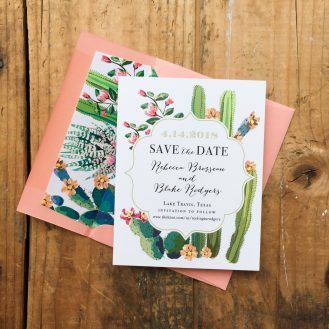 And your cactus invitation nailed it. I would give you 5 out of 5 ⭐️. Thank you, Cammy"
"The baby shower invitations came out absolutely beautiful! We received so many compliments on them. 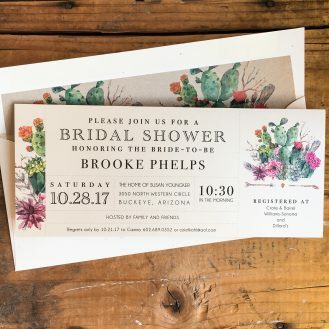 I heard about your company from etsy when I was looking for a bridal shower invitation last year. You were absolutely amazing to work with last year that I knew you would be the best company to use for the baby shower invitations. Every person that I have dealt with at your company has gone above and beyond to ensure the best customer service. 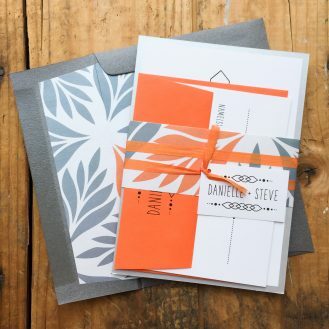 Your immediate replies to all emails and quick printing both times that I have ordered from you are why I will continue ordering invitations from you for any special event." "I was so thrilled when I found this design! I ordered some samples and received an email from one of the employees asking if there were any designs in particular that I liked and what my colors were. They sent me this design and another one to sample that was similar. They sent a nice selection of papers, envelopes & ribbons to go along with my theme. I worked with Jess for the proofs and could not be happier! She was quick to respond to my emails and helpful in designing and editing the proof. Got my invites in the mail and they were perfect! So happy with the service and quality. 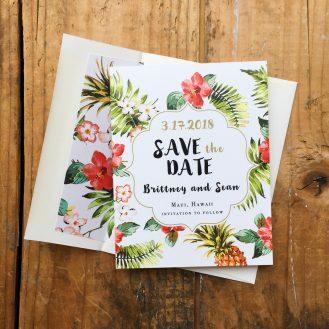 I definitely recommend and will be back :)"
"Our wedding invitations were not only unique but beautiful. 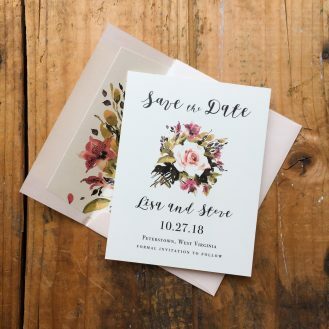 I searched the internet and local stores to find invites for our wedding but all other invitations were either ridiculously expensive or just like everyone else's. When I found Beacon Lane I thought it was too good to be true. 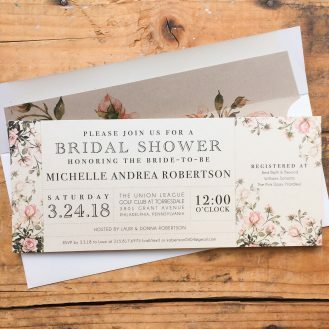 A unique invitation, great customer service and reasonably priced! Loved them! -Alicia"
"Hi Jessica! 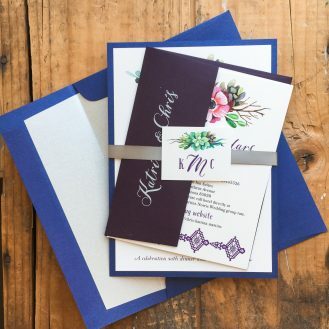 I was so thrilled with how our invitations and day-of stationary turned out! They were absolutely beautiful and were amazing quality! I received so many compliments on everything and I cannot thank you enough for creating my dream custom design! I am so happy I decided on Beacon Lane for our stationary needs and highly recommend you guys to all my friends and family!" "The invitations exceeded our expectations. They were wonderful!!!! My guests loved the design. You guys were so easy to work with- which is a plus in my book! Wedding planning can be a bit overwhelming. It was completely seamless from start to finish. I truly thank you and your team for the amazing service and product. 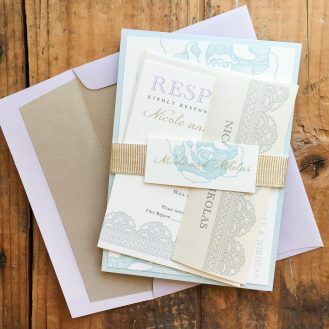 Best, Stephanie :)"
"The invitations were even more perfect that I expected! My sister, the bride, adores them. 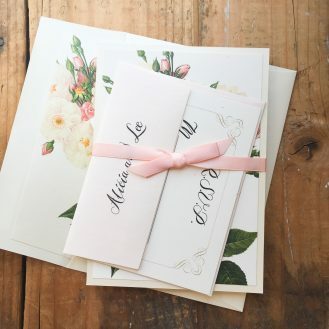 Especially the pearlized paper of the invites and gorgeous floral envelopes to match. She is in graphic design and very difficult to impress! 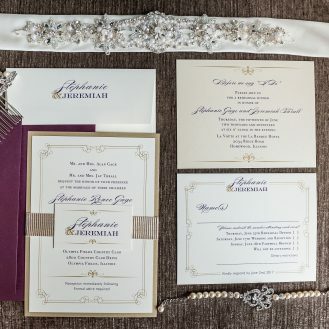 Every rsvp I have received commented on how beautiful and elegant the invites are. Thank you for getting them out to me so quickly, as well. 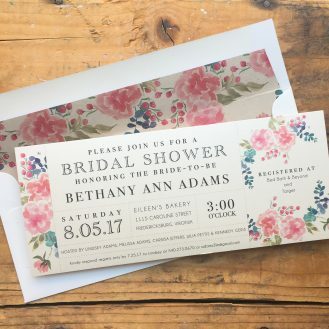 I am beyond happy with these invites and I would certainly purchase again and would recommend to everyone. Thank you again!"